There are more healthy fast-food options available than ever before, with many restaurants opening with a focus on providing just that. But many of the standby fast-food chains we know and love have also updated their menus to accommodate the modern American’s desire to eat healthier as well as quickly and inexpensively. Aspiring and current fast-food entrepreneurs would do well to emulate this change of approach and exploit this trend. 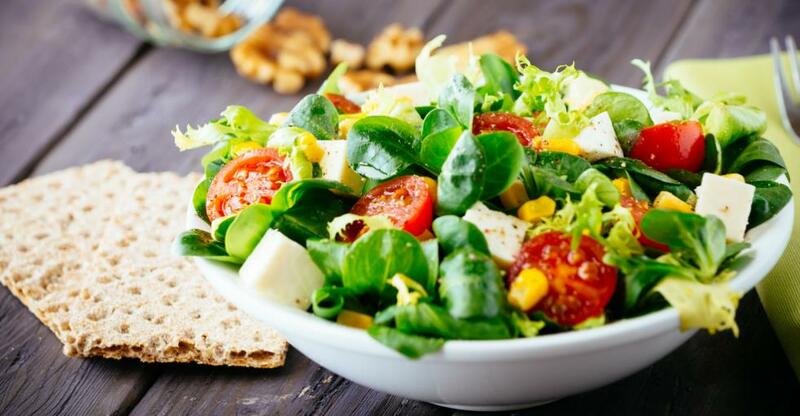 To give you some ideas for your own menu, here are just a few examples of the healthy options available at a range of fast-food chains – big and small – for every meal of the day. Cosi offers a compelling, healthy breakfast menu with selections like oatmeal bars or a spinach Florentine wrap (eggs, spinach, Swiss cheese and artichoke spread in a high-fiber wrap). For a light, on-the-go protein bomb, they offer the chia shot pudding parfait. While Chick-fil-A’s breakfast menu includes a number of big no-no’s for the health-conscious, it also has multigrain oatmeal and Greek yogurt parfait. Au Bon Pain, meanwhile, has an impressively healthy selection of breakfast sandwiches (especially if customers skip the sausage and bacon). One of the most nutritionally impressive is its egg white, cheddar and avocado on a skinny wheat bagel. And Subway offers flatbread egg and cheese sandwiches, which can be made with as many veggies as the customer wants. Starbucks offers oatmeal, yogurt, fruit and a delicious (in this writer’s opinion) spinach and feta breakfast wrap. And many people might not know that McDonald’s’ famous egg McMuffin is actually pretty healthy if they just hold the ham. So get your customer’s day off to a healthy, satisfying start on a tight schedule, and they’ll be less likely to raid the candy bowl or vending machine by mid-morning. Many American workers have neither the time nor inclination to pack themselves a lunch in the morning, and fewer still have time to sit down at a fancy restaurant during their lunch break. But that needn’t mean that the health-conscious among them must resort to expensive or unhealthy takeaway lunches. Subway almost invented the healthy fast-food lunch, so we’ll give it honorable top billing in this section. Its wide selection of fresh sandwich options can provide something for nearly every taste and dietary objective – low calorie, low fat, low carb… you name it. As long as they skip the cheese and mayo (and, of course, the meatball sub), customers can readily enjoy a healthy, balanced lunch at America’s largest franchise chain. But they can’t eat sandwiches every day, right? So how about something different? Those who live in Phoenix, Denver or Austin might be aware of MAD Greens. Specializing in a wide variety of signature salads, this fast-growing chain also offers nutritious paninis and wraps. Similar restaurants operating in other locations include Sweetgreen, Souper Salad and Salad Creations. Those who are interested in something with a more exotic twist, but want to avoid the high-salt, high-fat fare of takeout Chinese or Taco Bell, might consider up-and-coming chains Roti Mediterranean Grill, Tokyo Joe’s or Freshii. If they’re not near a major metro area where smaller chains have set up shop, they must surely have a McDonald’s, Burger King, or Wendy’s nearby. All of them have grilled chicken sandwiches and salad options that will do in a pinch (so long as they’re careful with the mayo and salad dressing!). The work day is over and your customers are heading home, tired and ready to relax. Sometimes they just can’t face taking the hour or more necessary to cook up a nutritious homemade meal for the whole family. So do they resign themselves to a bucket of deep-fried poultry or a calorific pizza divided into 12 artery-hardening slices? Not necessarily. Even Kentucky Fried Chicken is making a play for the health-conscious consumer, adapting its famous buckets to include grilled, instead of fried, chicken. Customers can also opt for green beans and corn as sides in lieu of mashed potatoes with gravy or mac and cheese. Pizza can actually be a well-balanced and fairly nutritious option – especially when made at home. Not so with most quick-order delivery or takeout pizza; it’s usually heavy on fat and carbs and low on nutrition. But you can provide healthier alternatives with a thin crust or that are light on the cheese or heavy on the veggies. Every pizza joint – from international chains to the mom-and-pop shop – can do that for its customers. In this hectic modern world, fast food is one of those necessary conveniences your customers need to fall back on now and then. But that doesn’t mean they must eat poorly. If you’re considering buying a fast-food business or opening a franchise location, you’d do well to consider how many healthy options adorn your menu. That’s what a growing number of customers are looking for – and if they can’t find it with you, there are countless alternatives to choose from.